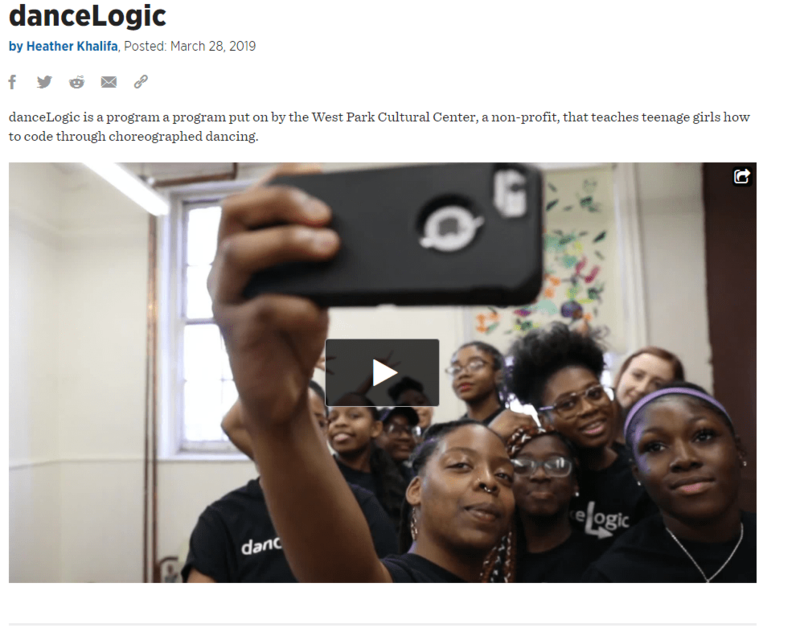 Our danceLogic students were recently featured by The Philadelphia Inquirer. Journalist, Heather Khalifa came out and spent the day with the class and created an amazing video. The video tells the story of why danceLogic is so important, especially for female coders.